You want (or need) to sell your house, but the only thing holding you back is the fact you have kids. Home staging to sell a home can be a scary business to anyone when kids are involved – the mess, the toys, kids bedrooms. So how can home staging (or property styling) work with little ones, while trying to keep the house looking presentable at the same time? The good news is that partial property styling is achievable with kids. The GREAT news is that professional property styling in Brisbane and other capital cities, is known to increase sales prices by 200% to 500%! That kind of result will make all the stress of styling and selling a house while living there with kids, so worth it. Here are my top areas to consider to make your life a lot easier (and to sell your home quicker). House styling always starts with decluttering. The key to a successful declutter when styling a property for sale is only keeping what you need for the next two months. Declutter the kid’s rooms (and the house) and put the rest in storage (or sell it on Gumtree). Be realistic. Do the kids need 30 puzzles, trucks or soft toys during this period? Pretend you’re going on a bit of a holiday and pack a suitcase with only the clothes they need for two months. If it’s winter, you won’t need their swimming gear or summer clothing. If you’re selling in summer, you definitely won’t need their bulky winter clothing. Give each child one box and have them select which toys or personal items they’d like to keep in the box during the selling period. Tell them there is a limit and what doesn’t go into their box must be packed away. Let’s face it; if you’re still living in a home while you’re trying to sell it, property styling becomes more about striking a balance. It’s not realistic to have it looking like a show home, but you can have it looking like a clean and lived-in home with a few personal touches, but not too many. There will be a time when you have minimal notice that someone would like to come and view your property. The easiest way to be prepared for this moment is to have a designated box in which you can throw everything in and take it with you. Consider the fact that not everyone coming to inspect your property are looking for a family home. Consider packing away the toy room using the tips above and converting it into a usable living space such as a sitting room or second lounge area. Although this can seem hard, removing your children’s treasured artwork from the refrigerator or bedroom walls, is essential for a quick sale. The goes for kids bedrooms; they may love their Spiderman or Frozen themed bedrooms, but it can be difficult for some buyers to see past this. Opt for a kids quilt set that is a little more subtle. The key to selling a house is to play to a buyer’s emotions. When potential buyers see personal items or themed rooms, it can be hard for them to imagine themselves living there or to imagine another use for the room. But not to worry, remind the kids that it can all return in your new home. If you need a professional opinion on how to convert a toy room, how much you should de-personalise the kid’s rooms or what other improvements and repairs you should make, a home stylist can make suggestions on décor and furniture and arrange for this to be hired and installed during the sale period. In the last three years, home staging in Brisbane, Sydney and Melbourne has become extremely popular with home staging adding anywhere upwards of $15,000 to the sale price. Keeping the house clean when you have kids is inevitable, and you’ll likely have to do it more often than usual when your home is on the market for sale. So cleaning doesn’t drive you bat crazy, initiate a routine. Every morning before you start your day, wipe down surfaces, vacuum and clean up clutter. Use baskets to declutter and hide them when you have an open home. 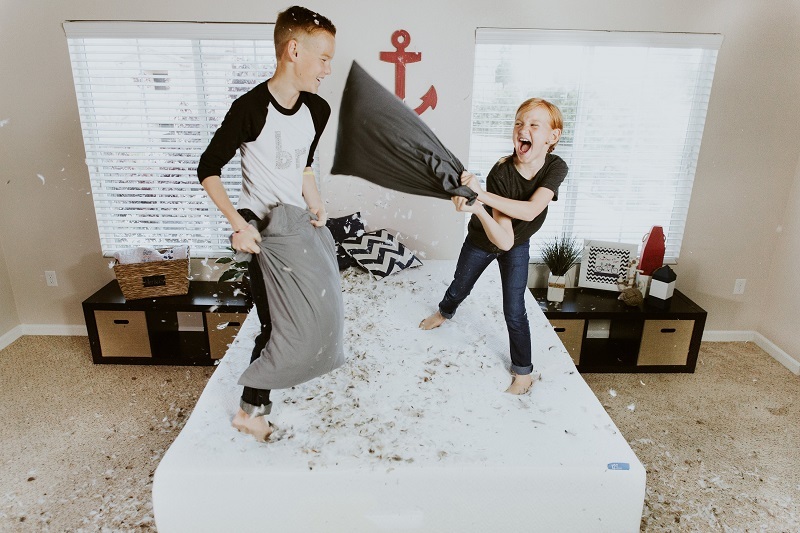 Of course you may love just being at home with your children so they can play but, unfortunately, this staying at home means more mess and clutter for you to deal with. Consider going out to the park more often or arrange more playdates during the sale period, so you have less mess to worry about in the house. Home staging with kids isn’t going to be easy, but these tips are here to make it easier. 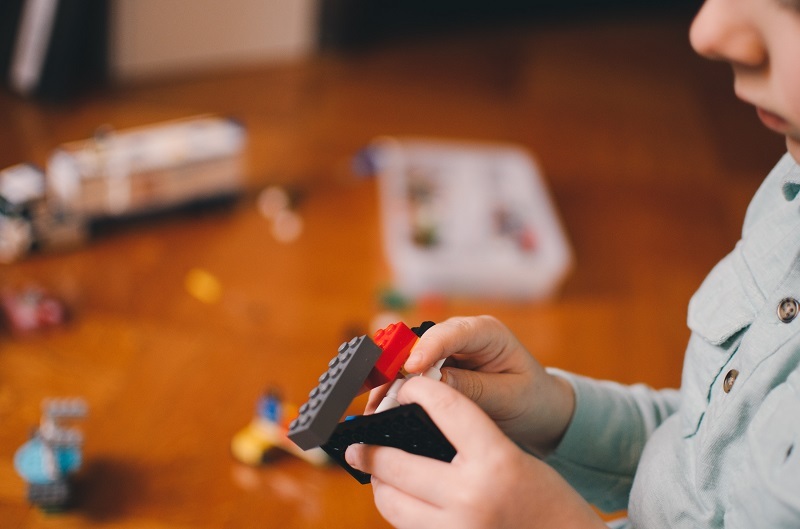 Many kids struggle with the idea of moving in general and won’t like the idea of packing up their toys early but as long as you have their favourite stuff around, they’ll feel more comfortable during this period and, at the end of the day, you’ll always have that bottle of wine in the fridge.